In the 14th in a series of posts on 2013 short story collections entered for The Story Prize, Tom Barbash, author of Stay up with Me (Ecco), answers questions about where his stories start, how he organized his collection, and where he finds inspiration. Often I begin with a desire to write a story, and then I’ll zero in on some sort of quandary. A man tries to keep a secret from a room full of friends; a mother wrestles with her fears that her son has become his father. The world of the story is usually something I’ve lived within, or witnessed closely. I tried to listen to the transitions so that one story might in some way lead into the next. I tried to put a slightly funnier story after a particularly sad one and vice versa. I separated the kid voice stories from the parentally told ones. I also put the most violent story in the penultimate spot, and ended with a story that pulled you out of the collection and back into the world. A story that ended in a violent mosh pit at a college dorm party. In an office outside my house. It’s a little shed but it’s private and quiet and a good place to think. Movies. 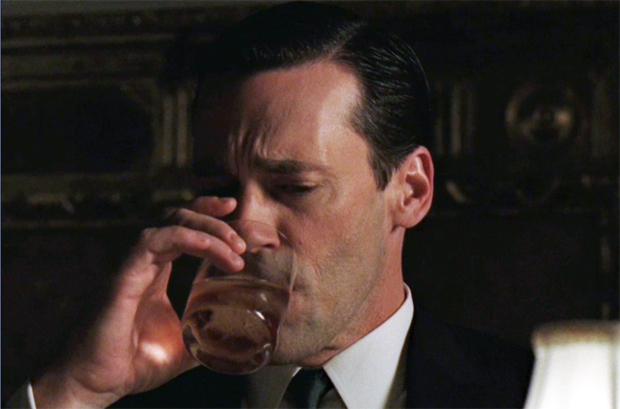 Good TV shows like Mad Men or the Sopranos. Museums. To write a story my characters would recognize as true. The worst? You can’t write a good short story about tennis. Ten years. And then I finally nailed it, like I'd been stalking an elusive beast. In the 13th in a series of posts on 2013 short story collections entered for The Story Prize, Jean Ryan, author of Survival Skills (Ashland Creek Press), explains why she had to back away from a story idea she had. My story ideas occur spasmodically. I wish they arrived in a more reliable fashion. Most of the stories in Survival Skills were inspired by something I had read or a show I had seen. Often I will notice similarities between disparate objects or situations, and as I begin to make connections between them, a story is born. “Migration” issued from the real story of a Toulouse goose that lived in a park in Los Angeles and became smitten with one of the visitors. “Waiting for Annie” followed a special I had seen on coma, the “silent epidemic.” Improved emergency response techniques and sophisticated life support machines are keeping more and more lives in this eerie state of suspension. Especially intriguing to me is the mind’s ability to make connections by itself, to persist without the complement of consciousness. “Paradise” emerged from a program I had watched about intelligence in birds, parrots in particular. One bird had acquired a prodigious vocabulary and this stirred my imagination. I thought it would be fun to work this creature into a story, to use him in fact as a main character. In order to create conflict, the parrot in this tale is malicious as well as brilliant. The extravagance of Palm Springs, its artificial overlay, seemed an apt parallel to the various indulgences that Max enjoyed in his man-made abode. If you’ve ever written a story based on something another person told you would make a good story, what were the circumstances? “Looks for Life” is based on a co-worker’s account of a devastating accident that befell his friend. This man had borrowed my co-worker’s Corvette and wound up crashing into a building. His injuries were significant, including facial trauma. The man’s parents were wealthy and thus able to procure a gifted plastic surgeon who gave his patient a new face, a much more handsome visage than the previous version. Ultimately the young man lost his humility as well as his girlfriend. I decided to cast a woman in this role and explore the personality changes she might undergo as a consequence of sudden beauty. What’s the worst idea for a story you’ve ever had? This question is interesting for the ways it can be interpreted. 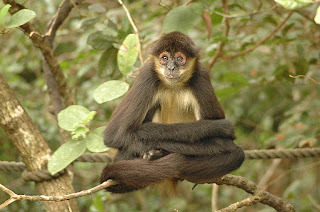 When I consider my worst story idea, the one that comes to mind is what I think of as the spider monkey story. I read an article one day about spider monkey rescue in Central America, and I thought, what a dramatic setting for a story: the cloud forests of Costa Rica, and what a captivating subject: the perilous lives of spider monkeys in the 21st century. I wanted to work in a romance, a volunteer who so admires the strength and commitment of one of the staffers—a woman far more capable than herself—that she winds up falling in love with her. So far so good. But as I delved deeper into the research, the more appalled I became by the plight of monkeys and what we are doing to their habitat. Mute with grief, I had to abandon the story. What’s the best story idea you’ve had that you’ve never been able to write to your satisfaction? The answer to this question is the same as the answer to the question above. A thicker-skinned author could have tackled this subject and produced a beautiful and compelling story. We all have our limits, and sometimes skill is beside the point. Finding a publisher ranks high on this list. Despite shrinking attention spans in this information age, people are still inclined to buy a novel over a book of short stories. Publishers know this, so few of them will consider short story collections. Fortunately, I discovered Ashland Creek Press, and they’ve been wonderful. I would like to think that as more people embrace the various digital platforms, with single stories more widely available, this genre will have a revival. Rejection is another hazard. Because a writer puts her deepest thoughts on paper, there is a personal component that makes rejections especially keen. In the beginning of my writing career, rejections came like a blow to the gut, but as they accumulated they lost their power to offend and became simply part of the business. When I receive a rejection, I treat it like data, logging it into my submission tracker and sending the piece to another publisher, usually on the same day. In the 12th in a series of posts on 2013 short story collections entered for The Story Prize, Jamie Quatro, author of I Want to Show You More (Grove/Atlantic), traces the unlikely sources of her stories. "Story ideas." The wily little buggers. Prodding, nagging, eventually hovering over you with such irresistible luminosity you can only submit, like the Virgin Mary: I will enflesh you. But the moment you sit down at the keyboard, the seemingly divine presence withdraws, and you're left with a blank page and the simple truth: Stories don't begin with ideas. They don't even begin with characters, as many of us were taught. To quote Charles Baxter (who I believe is paraphrasing William Gass): "[Stories] begin with words, one word after another." When I was five or six, my grandmother kept a bronze sculpture of a beanstalk on her dining room credenza. On a platform fused to the top of the stalk—impossible to see unless I stood on a chair—sat a tiny bronze castle. It had turrets and flags and barred windows, even a working drawbridge. On the platform surrounding the castle, where the moat would have been, my grandmother had arranged clumps of decorative grapes. They were green, translucent, a few silk leaves attached. I could see the grapes from below, hanging down over the sides. The deal was this: If I stood in front of the beanstalk and remained absolutely silent and listened very hard, I would be able to hear the Giant chanting fe-fi-fo-fum. It was the highlight of trips to Grandma's house, to creep up to the credenza and stand at the base of that taller-than-tall beanstalk (in hindsight, 3 feet at most) and hear the Giant's voice. I knew the Giant was my grandmother, hiding around the corner in her kitchen. I didn't care. The thrill of the approach, the tingle of fear (only possible because safety was a given), the half-believed-in notion that there could exist a tiny alternate world of tiny innumerable actions going on inside the castle —listening for it, like Horton with his clover of Whos—irresistible magic. My point: What stands out most vividly in my memory, 35 years later, are the plastic grapes, those incongruous fat globes laid out as if on a platter. They didn't belong. There's nothing inherently scary about grapes. But the fact that they were there somehow changed them: They took on the quality of delicious fear I experienced, anticipating and hearing the Giant's voice. And the grapes, in turn, leant to the castle some of their own innocuous good cheer. 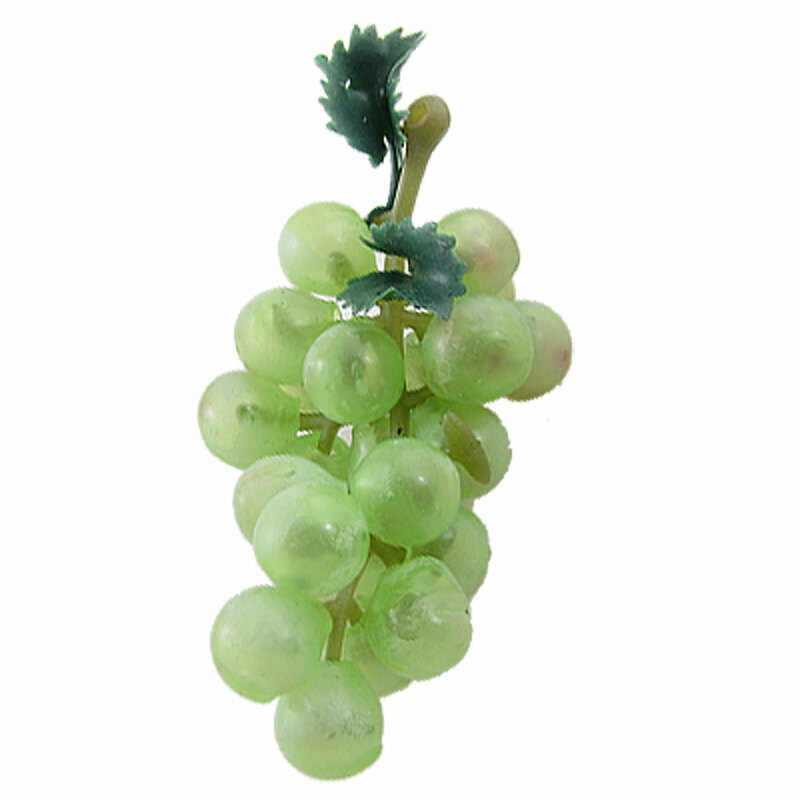 What's more, I'm almost certain that if the grapes hadn't been there, I might not remember the other details: the way the stalk would sway back and forth if you pushed it a little; the fear/safety cocktail; the way my grandmother's voice sounded, deep and husky with a playful edge. The plastic fruit, so odd in its placement, left a "memory stain" (Baxter again) and is now a point-of-entry to the past. I think of the Portkeys in the Harry Potter books, Harry and Hermione and the Weasleys standing around a "manky old boot" on Stoatshead Hill—J.K. Rowling was on to something, I think, in selecting common but somehow misfit objects as enchanted gateways for travel. "There is always something anarchic about the imagination," Baxter writes in his essay "On Defamiliarization." "It likes to find details that don't belong, don't fit." The writer's job is to remain open to the misfit image; to give it room to breathe in the imagination, and eventually on the page; to sketch, watch, sketch a bit more; see what the image wants to say and where it wants to lead. As Barry Hannah says, to let the work "[rush] on in a zone of sudden joyful combinations." There's a childlike trust in this stance, an attitude of non-judgment typical in young children but rare in adults. When faced with the extraordinary—anything that resists simple categorization—children tend naturally to accept; adults to balk, and then to assimilate. One of the payoffs in tracing out the anarchic image, for me, is self-discovery. I try to resist the doubt and self-censure (this is a "bad idea," this image or scene or line of dialogue is "too weird"), and simply ask: Why is this image insinuating itself precisely now, at this moment along my life's trajectory? Why is this particular story necessary to me? If I can get to a place where I understand something about why I'm writing what I'm writing—a glimpse through something one of my characters says or does, perhaps —well, there's a big part of the joy. In the 11th in a series of posts on 2013 short story collections entered for The Story Prize, Gregory Spatz, author of Half as Happy (Engine Books), describes how a long story took a short amount of time to write and a short story took a long time. The shortest amount of time I’ve taken on a story is about 10 days. Generally, I’m a slow, persistent writer and no matter how many hours a day I happen to have free for writing, the process requires the same stubborn amount of mulling and gestation and composition and tearing apart—in all, usually 3-4 months, start to finish. Almost without exception and regardless of circumstances, that’s how long a story takes me. 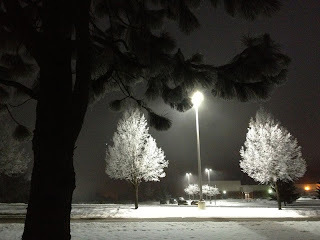 So, a fat, long story that should, by any rational calculation, have taken ages to write and ages more to place, defied the odds…in the same way that oddly beautiful and fortunate coating of light powdery snow stuck around. Conversely, the story that took me the longest write, is one of the shortest I’ve ever written – an 1100 word thing called “Wake Up Call.” The initial scene came to me in a burst, over a few blistering days in an Iowa mid-summer heat wave, and seemed to promise a full length story. So I flogged away at it, wrote version after version of follow up scenes. Added characters. Took them out. Added more water and fire imagery. Took it all out. Stared at it. Decided, finally, that there were no subsequent scenes after all, despite the seeming promise of them, and that I had to find a way to make that one scene that had kicked it off feel more final and complete in and of itself: a guy and his best friend (whose wife the narrator once upon a time had an affair with) at the state fair watching the friend’s kids on an amusement park ride while the friend relates the latest stories of the wife’s infidelities, and off-stage (unbeknownst to the narrator) the narrator’s mother is accidentally burning her house down for the third time. 4-5 years more I kept returning to that one scene and looking for closure until finally I was able to figure out who was still in love with whom and who needed the “wake up call.” Once I’d figured that out, the last paragraph and few lines finally fell into place and the story felt done. A ridiculously long time for a slim little story. But that’s what it took.